Although police and medical responders were dispatched to what was reported as an injury accident between a van and a bicyclist at S.E. 52nd Avenue at Mitchell Street, the rider's injuries appeared to be minor. The mishap took place at 5:04 p.m. on Tuesday, October 2. After checking out the biker, paramedics on Woodstock Fire Station's Engine 25 headed back to the station. The rider may not have been hurt, but his bicycle was certainly damaged in the crash. How the accident occurred is unclear; there were no witnesses at the intersection. 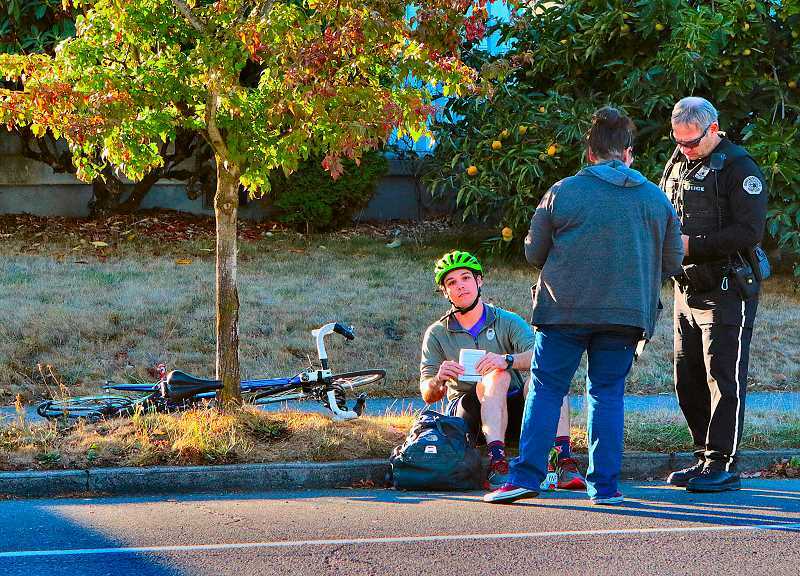 An officer helped the van driver and the bicyclist exchange information; no citations were issued. The lesson for drivers: Watch out for bikes, especially as the days grow shorter!